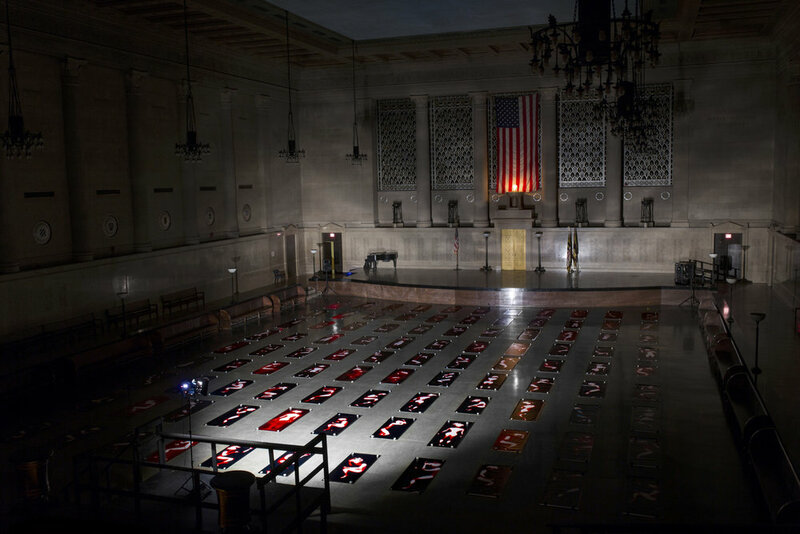 Afterimage Requiem is a large-scale visual and sound installation by Kei Ito and Andrew Paul Keiper that probes the atomic bombing of Hiroshima and their intertwined family histories. It was exhibited at the Baltimore Memorial in January, 2018. In 2016, Ito and Keiper received the Rubys Artist Project Grant through the Greater Baltimore Cultural Alliance to create Afterimage Requiem. The Rubys were conceived and initiated with start-up funding from the Robert W. Deutsch Foundation and are a program of the Greater Baltimore Cultural Alliance. Further support for this project comes from Full Circle Fine Art Services. For further documentation of this project, please visit www.afterimagerequiem.com.